I am certain that Charles Rolls and Sir Henry Royce would turn in their graves at the sight of the latest prototype from the company bearing their names. It's big, obviously assertive, totally over-the-top, and as far as I'm concerned, ugly as sin. 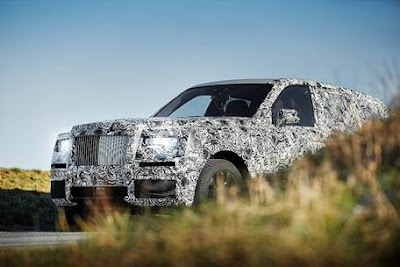 Project Cullinan is the name given to the Rolls-Royce SUV, and if these photos are anything like the final vehicle, I don't think Bentley needs to worry too much about the Rolls-Royce competitor for the Bentley Bentayga. There's some similarities for me when the original Phantom appeared in the USA. In 2004 I was attending the annual meeting of the Rolls-Royce and Bentley Owners Club in Newport, Rhode Island. I had brought along an engineering prototype of a Bentley Continental GT Coupe to show the members, and so far there were just a few photographs of the Phantom being circulated for potential Phantom buyers. One of the members came to me immediately after he had seen the Phantom photographs, and said to me: "Well, JC, I've just seen the Phantom. And, looking at the beautiful coupe you've brought along to show us, I am going to cancel my Phantom, and order a Bentley on Monday. I do not want to buy a Phantom, it looks to me like a Hummer in a tuxedo!" Enough said. 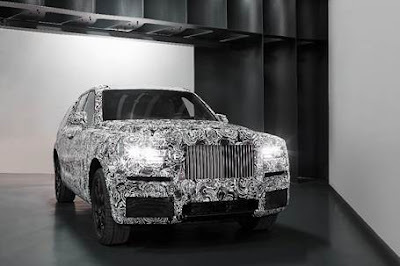 I think the Project Cullinan design is completely consistent with the original Phantom.